Marine litter is ubiquitous on the shores and also regularly monitored around the world due to the proximity to sources, aesthetic reasons as well as easy accessibility and cheap methodology. Despite of the plentiful data available, it has occurred rather challenging to get a reliable global picture about the distribution, abundance and composition of litter on the strandlines. The goals for litter surveys vary: some studies focus on detecting the amount and composition at a specific time, some try to identify the sources and some measure the long-term accumulation. Tis results in slightly dissimilar surveying methods, which are observed to lead in differences in data even on the same beaches depending on the chosen methodology. There is variation in the transect widths, lengths and directions as well as the sampled sector of the beach, which influence the comparability of the data. Some studies measure only the quantity of litter without paying attention to the factors affecting density, such as previous clean-ups, recent weather conditions and local sources. To better recognize the patterns of accumulation and factors influencing it, most studies to date assess same areas regularly either daily, weekly, monthly or annually. Many surveys have focused primarily on cleaning, and although counting the litter a proper classification of items may be lacking. Reporting beach litter may also vary: abundances can be reported as numbers or masses of items in certain area or transect length and categorized by the type (e.g. plastic, glass, metal), function (e.g. fishing equipment, packaging material) or both. There might also be a bias related to the size of observed items: usually only items large enough are reported with the lower limit varying from 10 to 100 mm or not even reported. Especially smaller debris may get buried more easily in the beach sediments and remain there for longer times. This buried debris is rarely taken into account when performing beach litter surveys, which may lead to underestimations of litter densities. In addition, selective cleaning of beaches from certain types of litter (e.g. plastic bottles with refundable deposit) by general public might impact the results of beach surveys. Litter on the beaches has either been disposed directly to the beaches or nearby areas, or originated farther away and transported to the beach by the sea. Plastic is often the dominant component of litter found from the beaches in terms of both weight and number. For example in South Africa and Seychelles, plastics were observed to account for 97% and 96% of all found beached litter items and also in the North-East Brazil 90% of litter consisted of plastics. Similarly, the monitoring of a single beach for 20 months in New South Wales, Australia, demonstrated that 91.4% of beached litter was plastic. Within plastics, most prevalent litter types were fragments and monofilament fishing line followed by plastic bags and food wrappers. Plastic fragments, bags and beverage bottles have also been observed to be numerically abundant in the beaches of Curacao and in general around the world (See Table below). Information about the most commonly found macro-sized litter items has been obtained from an international coastal cleanup day, which is annually arranged by Marine Conservancy and engages a huge number of organizations and volunteers around the globe to remove trash from the world’s beaches and waterways. The items collected by volunteers has provided valuable information about the most numerous macro-sized litter items on coastlines globally, even though the cleaned areas represent mainly easily accessible beaches in densely populated areas. Even though plastic is superior as the most abundant litter material on the beaches, there is some variation in the second most common litter type. In many sampled beaches, glass seems to be quite abundant constituting for example 29.3% of litter in the Cliffwood Bay, New Jersey, USA. In other areas, wood can be the next principal component after plastic: for example in Curacao, 15.1% of collected items were wood, mainly boards. In some beaches around Mediterranean Sea drift wood accounted for up to 46% of beached litter. However, the composition of litter found from the beaches varies remarkably depending on the location and characteristics of the beach. When assessing litter composition on beaches, it is also important to study the different size fractions of litter. Usually surveys focus on either macro- or micro-sized litter, but some studies have succeeded in combining information about both size categories. For example a study made in Uruguay that included micro- and macro-sized litter found out that micro- and mesoplastics ranging from 0.3 mm to 20 mm were dominant in total number of items compared to larger items. Their proportion ranged between 61.5% and 100% the average being as high as 90.8%. Also in the estuarine shorelines of UK, microplastics have been observed to outnumber macroplastic by their 65% share. Most studies survey marine litter from the entire area between the sea and the highest strandlin. The highest litter concentrations are usually observed at the high water mark, where waves, tides and storm surges pile litter. The abundance and composition of litter can vary in different parts of the beach according to for example the litter size and density. For instance, items with low density are likely to be more easily transported on the beach: light-weighted pieces of Styrofoam are regularly found from the high water mark or distributed to vegetated back-beach area by winds whereas denser and hence heavier glass fragments tend to accumulate on the lower foreshore. In addition to the properties of litter items, also beach characteristics, such as the slope, grain size and vegetation cover of the beach can influence litter distribution. In beaches studied in Uruguay the abundance of plastic litter has been observed to be positively correlated with beach deposit index (BDI), which is a combination of the beach slope and grain size. More litter is found on so-called dissipative beaches that are flat and have fine-grained sand compared to reflective beaches with steeper slope and coarse sand. Some sedimentary shores are considered being sinks for floating marine litter, since large proportion of marine litter is accumulating on the shores worldwide. It has also been suggested that the width of the beach may have an effect on litter accumulation, since in Israel the highest abundances of litter has been found on the widest beaches. If the litter is not blown farther to inland by winds or resuspended back to the water after stranding, it can be trapped and buried in sand. Especially smaller debris may get buried more easily in the beach sediments and remain there for longer times. For example plastic pellets made of polyethylene (PE) and polypropylene (PP) have been found from the depth of 2 meters on a sandy beach in Santos Bay, Brazil. In addition, litter surveys conducted in the Japanese and Russian beaches indicate that in some beaches almost the same order of litter may exist in the sand as on the sand. However, there seems not to be a clear quantitative relationship between the amount of stranded and buried litter. One study comparing litter composition in sandy and rocky beaches found out that foamed and hard plastics, glass and rubber are more common in rocky beaches whereas in sandy beaches there was a higher proportion of plastic pellets, paper, wood and cloth. Metal and cigarette butts occurred in both beach types in similar proportions. The role of rocky shores in plastic litter deposition is less studied, but it has been suggested that rocky shores with high wave action may act as grinding mills for plastic fragmenting them into smaller pieces. Studies on beach litter have indicated that litter abundance is related to the closeness of urban centres and nearshore shipping routes. Even though mostly found near densely populated areas, beached litter is not only an eyesore in these areas but also in the remotest places of Earth: marine litter has found its way for example to the isolated shores of the Scotia Arc, Southern Ocean, that lack permanent human settlement. Since many factors both on land and at the sea can influence the amounts and distribution of beach litter, the abundance of litter varies greatly depending on the location. Average densities of beach litter (range in parentheses). Note different units in the reviewed studies. The Baltic Marine Litter project MARLIN running from 2011 to 2013 aimed to get a good picture about the litter on the Baltic Sea beaches by using harmonized monitoring programme. 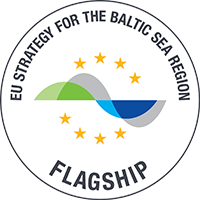 During the project 23 beaches representing different types of usages in Sweden, Finland, Estonia and Latvia were monitored in order to describe the amounts of marine litter on these areas. Urban beaches were observed to be more littered compared to rural beaches: the average amounts of litter sized from 2.5 cm to 50 cm ranged from 75.5 items at rural beaches to 236.6 items in urban beaches along the area 100 meter long and 10 meter by width. On average 62% of all litter constituted of plastics. As in many other places around the world, cigarette butts were the most abundant litter category found from the beaches when counting also items smaller than 2.5 cm. From rural beaches on average 49.4 butts per 100 m were found, whereas on urban beaches their average number reached 301.9 butts per 100 m. From all the countries the beaches in Finland were most littered. This was suggested to be partly due to the high amount of urban beaches examined in Finland compared to other countries, but also sea currents and extensive archipelago area were thought to possibly affect litter densities. From the litter materials, plastics are most common, which is also well documented from some Estonian and Finnish beaches. Figure showing the number of items per 100m beach strip on some Finnish and Estonian beaches (above) and the proportion of plastics from the data (Setälä, Bruun, Haaksi, & Press, 2016). The types of litter found from different beaches do not always indicate different deposition patterns but various uses of the beach. The on-site littering of touristic beaches is seen on the litter composition: small litter, such as cigarettes, straws, children’s toys, leftover food and paper, are more frequently found on touristic beaches compared to beaches less used by the public, whereas in remote beaches large items, such as bottles, containers and fishing-related litter, coming from the sea are more abundant. The composition of litter on touristic beaches varies depending on the behavior of beachgoers, availability of litter bins on the beach and beach cleaning services provided on the area. A study assessing the abundance and composition of litter on the beaches of southern California, USA, in the beginning of 21st century identified many items from common brands including Marlboro, Coca Cola, Budweiser Light, Snickers and Jack in the Box. Interestingly, the relative abundances of these brands among beach litter were noticed to reflect the products’ relative market share, and hence the littering behavior of the beachgoers and runoff from land were thought to play a major role in the composition of beach litter. One reason for large variations in litter quantities on different beaches can be the differences in wind patterns: for example in beaches of Aruba and Curacao more macro-sized litter was found on the windward coast compared to the leeward coast. Also larger proportion of plastics was found on the windward beaches, and on these beaches they were more often fragments of bigger plastic items. This difference in the litter composition was suggested to reflect different origin of litter on windward and leeward beaches. Being more sheltered, leeward beaches were suggested to have large quantities of local-based litter whereas the more exposed windward beaches were thought to be subjected to a greater input of floating litter derived from distal sources. Additionally, the litter found from leeward beaches consisted largely of litter related to eating, drinking and smoking which might indicate a local source of this litter. However, in the Taman estuary, UK, higher densities of macroplastics were observed in leeward sites rather than windward sites. Especially less dense plastics, such as expanded polystyrene, polyethylene (PE) and polypropylene (PP) were more abundant in leeward sites, whereas denser plastics were more evenly distributed in both leeward and windward sites. The study also showed that larger amounts of less dense litter is accumulated to greatly depositional sites, but also densely populated areas located nearby were suggested to influence the results. To assess the accumulation of litter on the beaches, one must have information about the amount of litter arriving from various sources, for example littering of beach visitors and material arriving from the sea. For instance a study conducted in the Caribbean coast of Panama found out that the cleaned beaches regained approximately half of their original litter load in three months, which indicates that the accumulation of litter can be rather quick. The waves and tides that bring litter to the shore can also remove earlier deposited items and thus stranded litter can disappear rapidly from the beaches. Therefore, also the extent of different removal pathways including for example burial, resuspension, transport by winds and cleaning activities must be taken into account when studying beach litter. If the monitoring of accumulation rates of marine litter is conducted using long intervals, the rapid turnover rate of litter is not seen and therefore the loading rates of litter coming from the sea might be underestimated. For example a study conducted in the New South Wales, Australia, followed litter densities on a single beach during 20 months in intervals with various lengths and observed that the litter turnover rate is relatively quick. The estimated daily accumulation decreased rapidly the longer time was between the survey dates. The model generated in the study suggested that the daily accumulation rates were actually approximately 360% larger than estimates that were based on weekly sampling.